When faced with an accusation of probation violation, it is important to hire an experienced criminal defense lawyer. A single probation violation, if proven or admitted to, will place you at the mercy of the presiding Judge. Don’t make the mistake of choosing to go it alone, or facing your Judge without the assistance of an experienced criminal defense lawyer that cares about you and your result. Even when the violation is true, it is crucial to have someone in your corner who can effectively address your individual circumstances and the reasons behind the alleged probation violation. The nature of probation is that it contains terms and conditions which the probationer is ordered to follow. Failure to follow all conditions of probation can lead to probation violation proceedings. If the probation violation is established by a preponderance of the evidence (shown to be more likely than not true) by a plea or a finding of guilt after a hearing, it allows the sentencing Judge to resentence the probationer. The only limitation a Judge has is the maximum punishment allowable by law. The Judge also has the ability to remove a special status that may have been previously imposed to suppress the conviction (HYTA, 7411, 769.4a; etc.). Driving a car without a license. When it comes to a probation violation proceeding, you have the right to have a contested hearing before a Judge (no jury trial right). At that hearing it is the sole burden of the prosecutor to prove by a preponderance of the evidence that 1 or more violations are true. You have the right to have a lawyer represent you at all proceedings including violation of probation hearing, sentence, and appeal. Your lawyer can cross examine witnesses, call witnesses on your behalf, and subpoena witnesses. At the hearing you are free to testify in your defense, or remain silent and not have your silence used against you in any way. The rules of evidence are relaxed during a probation violation hearing, and do not apply in the same manner as a trial. For example, hearsay evidence is admissible. Why You Need a Dedicated and Experienced Probation Violation Lawyer? Retaining a lawyer is very important to give you the best opportunity to prevail. Often when a court appointed lawyer represents an individual concerning a probation violation, the first and only time they meet is at the hearing. 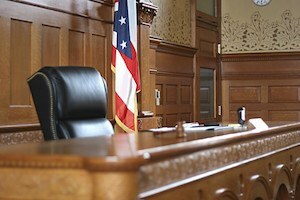 The court appointed lawyer is often assigned to multiple defendants on the same date, and may have limited time and desire to properly address or defend the matter. Retaining an experienced criminal defense lawyer in advance of the hearing gives you the best opportunity to explore and plan all defenses. It allows your lawyer to gather and present the facts and evidence necessary to mitigate the consequences faced. Remember, the Judge has the discretion to be lenient if he or she chooses. A probation violation does not automatically result in incarceration or a loss of HYTA, 7411, or other sentencing considerations. Hiring an experienced criminal lawyer will give you the peace of mind that you did everything you could to help yourself to try and obtain the best result. The qualified, award winning legal team of Hilf & Hilf, PLC can help you defend your probation violation and attempt to get you the results you need. Probation Violation? -12 Proven and Effective Strategies to Reduce Jail Possibility (100% Legal) Jail for a probation violation? Seriously? With a probation violation the Judge has that option. Being incarcerated is no place for anyone to be.